2018 was rather special and interesting, from a software point of view. While tech giants continued to deliver futuristic, mind-bending and impressive software and services, they also realised their own software was chewing away our brains, making us all sloppy. We took a good look around to see which software and services were introduced this year that are likely to shape the way we use most of our tech products. Here are our top picks for the best software and services we saw in 2018. Google likes to show off cool stuff at its I/O developer conferences each year. Duplex, however, was way above anything we’d seen. It just blew everyone’s mind away. Built as a feature inside Google Assistant, Duplex can place phone calls for you to make reservations for you and more. All this in a human-like tone that could be hard for someone on the other line to make out if it’s an actual human being or a robot. 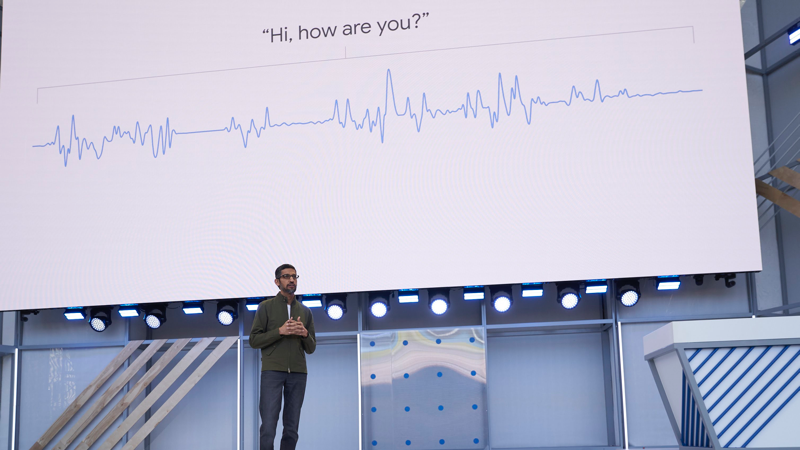 The search giant even demonstrated the feature in front of the crowd and it didn’t sound anything like a robot as Duplex added a little “hmmm” and “umm” into the conversation. The uses cases are endless and it looked like this could completely change the way we use our smartphones. However, once everyone picked up their jaws from the floor, there was a growing concern amongst many that Duplex calls may be amazing, but a little too creepy. Google has assured that Duplex will properly notify that a call is being made from a robot when it’s working. The feature has started rolling out to Google Pixel owners in the US. Let’s be honest, passwords aren’t everyone’s favourite method of authentication even though we continue to live our daily lives with one. Back in April this year, two major standards bodies FIDO and W3C revealed that they were going to kill the good old password with WebAuthn. WebAuthn is simply a new protocol that eliminates the use of a password. The most popular browser makers like Google, Microsoft, and Mozilla have agreed to integrate WebAuthn within their browsers. Users will be able to use a physical security key (USB) or a mobile device instead of a password. This could make things a lot easier for Internet users all across. As technology is making our lives simpler and easier, it’s also slowly vacuuming us all into a world we can’t escape from. This year, the makers of the two most popular mobile operating systems decided to change things a little. Both Apple and Google announced new features built right inside the OS to help users measure how much time they were spending on their mobile devices. 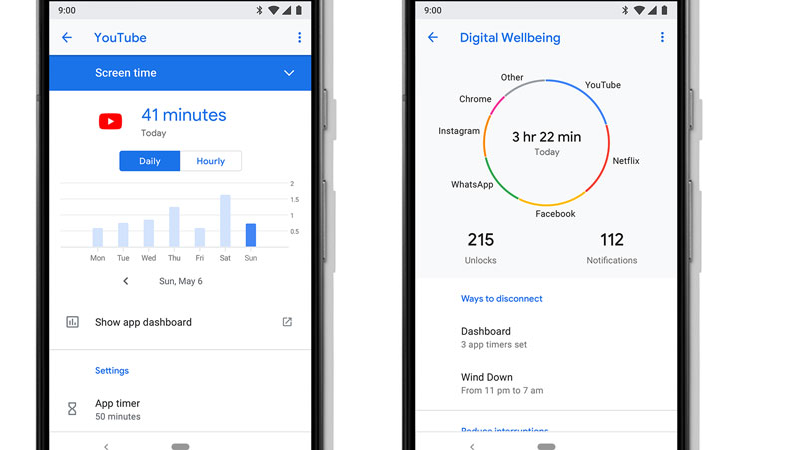 Apple introduced Screen Time on iOS 12 and Google added Digital Wellbeing on Android 9.0 Pie. Both services may have different interfaces but share a common goal. The idea is to get you to use your phone less so you don’t spend hours staring at it when you could be doing something else, something more productive. Later in the year, both Facebook and Instagram apps introduced their own version of these features. 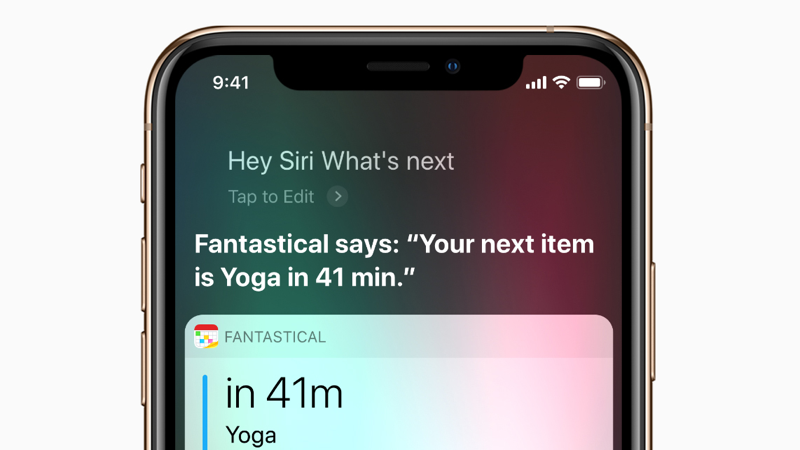 With iOS 12, Apple also introduced a new way to make the most out of Siri. Siri Shortcuts lets users group together a bunch of iOS-based actions and easily trigger them using voice commands. A large chunk of iOS apps also added support for Siri Shortcuts. Although the idea sounds simple, it has become a popular way to get things done on an iOS device. From something as simple as having a text message sent when something else happens, to asking Siri about the status of your online food order, it can do pretty much anything you want. The feature makes Siri more useful and powerful. Otter is a mobile app that can automatically transcribe your voice recordings. The app is quite different from similar apps we’ve seen in the past. It is specifically meant for long-form conversations and can accurately convert voice to text without any issues. Otter is perfect for meetings, interviews, and other events where more than one person is talking. The app can capture the audio, transcribe the content, and turn it into an archive that can be easily searched. The app is available on both iOS and Android. There’s a Web interface available as well. Gmail probably received its biggest update this year. So big that it was labelled the ‘new Gmail’ by Google itself. The new Gmail was packed with features that make your e-mail experience a lot more productive. Most of the new features are powered by Google’s machine learning and artificial intelligence tools. Apart from a massive redesign, Gmail also received a number of new useful features. Gmail can now ‘nudge’ you in case you forget to follow up or reply to a previous message. The feature uses machine learning to understand if you need to be informed about following up. The new Gmail also lets you write emails quickly, thanks to the new Smart Compose feature. It can automatically suggest quick phrases as you continue to write your emails. There’s also a Smart Reply feature that makes dealing with replies easier especially when you’re on the move. On April 1, Cloudflare launched its own public DNS service called ‘1.1.1.1’ to promises better privacy and DNS look-up speeds. Apart from that, the service also allows users to prevent their nosy ISPs from taking a peek at their DNS logs. But most Internet users don’t understand how it works and how they can configure it. Last month, Cloudflare announced iOS and Android apps for its 1.1.1.1 DNS service that made it extremely simple to use its public DNS. The free apps can improve your browsing experience and take care of your privacy as well. If you hadn’t already configured Cloudflare’s DNS on your mobile devices, the apps will do a good job. Another magic app that Google announced at its I/O developer conference this year was Lookout. The app is built to help those who are visually impaired become more independent. The app offers verbal notifications about a user’s environment, making it easier for those who cannot see. The app can also read signs printed on doors, for example, entry and exit. Lookout offers four modes to choose from — home, work and play, scan, and experimental. Each mode enables the app to look for specific cues about a user’s current environment. The app is likely to be exclusive to Google Pixel devices and is powered by Google Lens. Although Google Lens was launched last year, it was only this year that it made its wide public appearance. Google Lens can identify a large number of objects, a billion of them to be precise when a user simply points the phone’s camera towards it. Google Lens can also recognise some people, wireless networks, and shapes. You can even copy information from a business card and add the details to the contact list on your phone. Google Lens can be spooky but it surely works. It can be an excellent tool for kids (if used properly) and for those who travel a lot. The Google Lens feature was previously available only on Pixel devices but it’s now being made available on non-Pixel devices as well. The feature is baked into the default camera app on select Android smartphones.